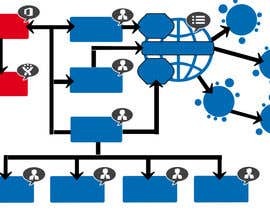 We need a digital mindmap for an internal project within a large organisation. The mindmap will showcase the way we operate and integrate with our external vendor. There needs to be a hyperlink to each piece of the mindmap. 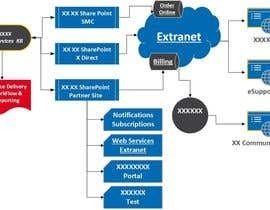 These hyperlinks will be to both internal SharePoint sites and external vendor sites. All hyperlinks must work within SharePoint - Office 365. We have attached a png version (attached) of the vision of what the mindmap will look like. However, we would like a more sleek design. The word document attached is the RGB colours to be used. The words of each mindmap bubble and the hyperlinks should be editable by us. If possible, please provide documentation on how to do so. I am working on this I have few questions for that I need clarifications. Sure - what's the clarification you require? just to inform that working on document right now and will upload it soon. K.
hi - need any clarification?